A yoga instructor shares tips, plus reporting and resources for mindful childbirth. As Mindful reported in the June issue, research is beginning to show how mindfulness decreases depression and anxiety during pregnancy and boosts positive emotions. Nancy Bardacke and the Mindfulness-Based Childbirth and Parenting (MBCP) program that she developed—currently offered at the University of California-San Francisco’s Osher Center for Integrative Medicine—is quickly gaining a foothold among U.S. and international healthcare providers. Wondering how you can incorporate some of those benefits into your own pregnancy? Here are her five tips for having a mindful pregnancy and early parenthood from Aimee Karr, who teaches yoga and meditation for pregnancy at her studio in Williamsburg, Brooklyn. 1. Slow down. Every month, a student in her second or third trimester will approach me and say something like: “Whenever I’m walking fast, I get this sharp pain in my [insert body part].” I ask, “This pain, does it go away if you slow down?” She usually nods. “Hmmm…do you think there’s something to that?” I say with a smile, seeing the corners of her mouth turn upward, also. Pregnancy can be a great opportunity to take your time. Try to avoid over-scheduling and block off some time for yourself. If you think it takes you a long time to get anything done while you’re pregnant, just wait. Suddenly, you’ll be contending with snowsuits, carriers, strollers, and car seats—not to mention diapers that always seem to explode right as you walk out the door, and a plethora of other minor emergencies. Thich Nhat Hanh’s words became my pregnancy and early motherhood mantra: “Smile, breathe, and go slowly.” Your body will appreciate it and your baby (whether inside or outside) can sense your anxiety, so will also be grateful. When a change of plan occurred with the birth of my son, I was quite upset. The nurses told me, “You’re fine! Stop crying. We do this every day,” and that didn’t help. What did help was my midwife telling those nurses that the journey ahead of me was about as far from my initial homebirth dream as it could be and that I had every right to feel disappointed in that moment. And that’s exactly how much longer I gave into those feelings, one moment. Then I made a conscious decision to let it go and choose to be present for the birth of my baby. While it’s true that having a healthy baby is the most important thing, ignoring or burying your emotional response will make it more challenging to bond with your new arrival. If you’re hit with a less than desirable change, see if you can give yourself a moment to experience whatever you may be feeling due to the adjustment. Sit. Breathe. Then maybe let it go. 3. Get a good night’s sleep. It’s one of the biggest challenges during pregnancy and early parenthood. But if you make a habit of taking naps during pregnancy, you’ll most likely carry that forward after your baby is born. And if sleep isn’t coming easily, you can try some meditation practices aimed at body awareness. Start by bringing your awareness to the top of your head and feel the weight of your skull. Notice all the different muscles of your face. Feel the length of your neck and the weight of your arms. Notice the openness of your palms and the curl of your fingers. Follow your breath as it flows through your torso, filling your chest, ribcage, and belly. Imagine that you could breathe behind your baby, filling your lower back. Fill the sides and front of your belly, surrounding your baby as if you were wrapping your baby in a blanket of your breath. Imagine nourishing your baby with each inhalation and hugging your baby with each exhalation. 4. Let your practice adapt with your baby. Your mindfulness practice will inevitably change when your baby arrives, just as it has likely changed through your pregnancy. What used to be a 2-hour daily yoga and meditation practice might end up looking more like 10 minutes of meditation during baby’s first nap, 10 minutes of stretching while holding your baby, and 10 minutes of breath awareness while nursing or feeding your baby. It might be a while before you can get back to your old routine, but taking time to do bits of practice everyday can make a huge difference in your energy level, your patience, and your ability to engage with your little one and others positively and mindfully. Mindfulness-Based Childbirth and Parenting (MBCP) programs taught by Nancy Bardacke, Certified Nurse–Midwife, mindfulness teacher, founding director of MBCP and author of Mindful Birthing. Great Expectations classes offered to help expecting mothers and their partners learn more about pregnancy, birth, breastfeeding, and parenting. Reporter Susan Freinkel follows two expectant couples from their first class in mindfulness-based childbirth to the blessed (not to mention challenging) event. From Mindful’s August 2013 issue. Nancy Bardacke, author of Mindful Birthing and founding director of the Mindfulness-Based Childbirth and Parenting program, currently offered at the University of California-San Francisco’s Osher Center for Integrative Medicine. Emilie Raguso reports on a new program applying mindfulness meditation to childbirth and parenting. Could it lead to healthier babies? The Oxford Center for Mindfulness in the UK looks at key statistics and current research on how Mindfulness-Based Childbirth and Parenting can help with the transition to parenthood and anxiety and stress. They review their course offerings, too. 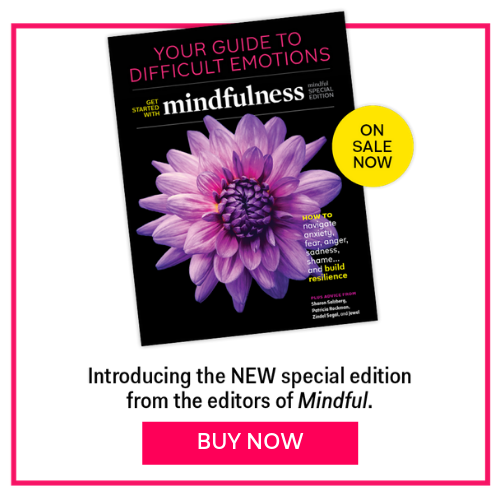 This web extra provides additional information related to an article titled, “Birthing and Beyond,” which appeared in the June 2014 issue of Mindful magazine.